Allison has the first of many birthday celebrations today. Since it was school vacation this week, I figured it was the perfect time for her to have a party with some of her Kindergarten friends. Since I have a boot on my foot and getting around is a big hassle, I convinced here to have the party somewhere else so mommy didn’t have to do all the work. We agreed with AC Moore for an Arts & Crafts party as long as she could do something with Zebra Print. She was thrilled with the idea and couldn’t wait for the day to come. They did such a great job at AC Moore with the kids and I was very impressed with the party. 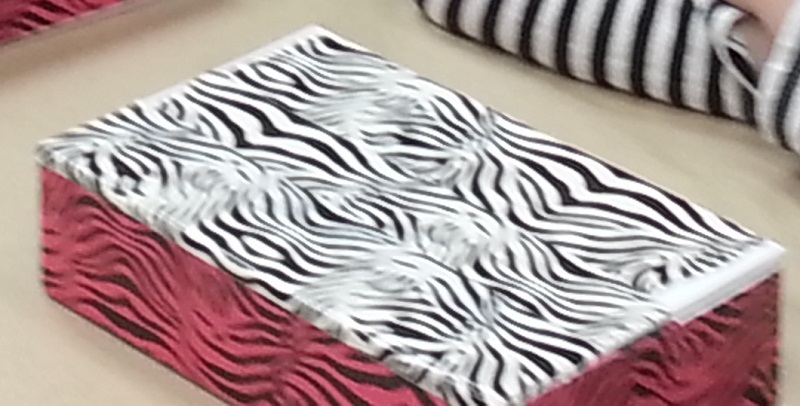 The kids decorated boxes with Zebra Print Duct Tape and they loved it. The duck tape is great to work with except the moms had to ripe it apart, the kids couldn’t. They loved it and after they used the duct tape, they decorated it with jewels and stickers and used markers too. I decided cupcakes would be better than a cake so there was no cutting involved so I asked my local grocery store to make me chocolate and vanilla cup cakes with just white frosting. 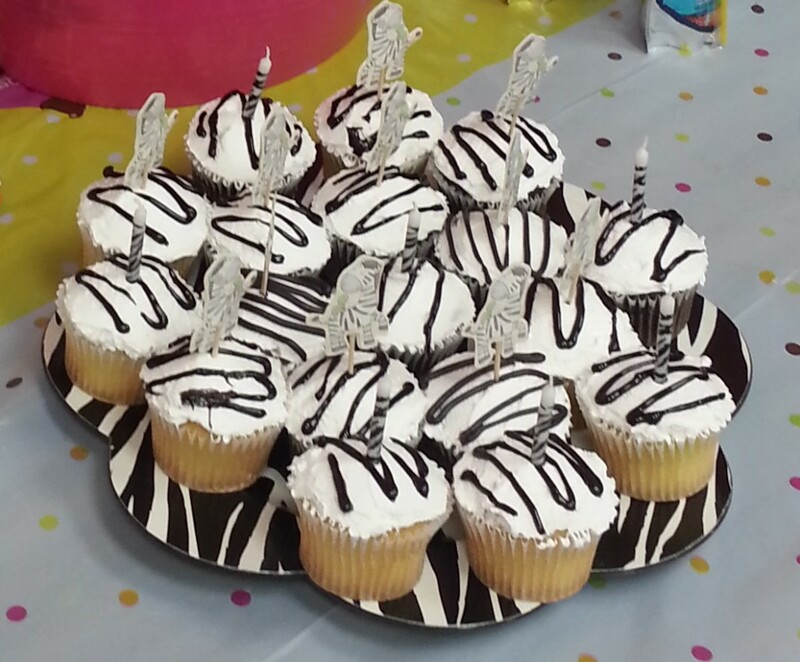 I then bought some black icing and made some zig zag lines on them to represent zebra strips. She loved how they turned out as did I! 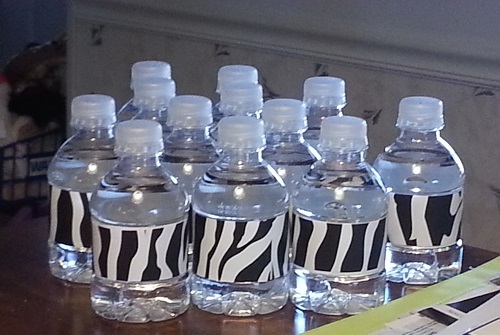 I used Zebra print wrapping paper to put labels on the little water bottles and we made Zebra food packets for the kids to take home, which were basically filled with assorted candy. THEY LOVED THAT. 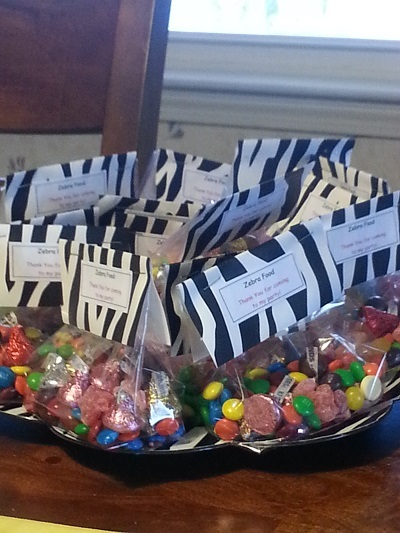 This was an idea from my very talented friend Kim and it was super easy to put together and we also used the Zebra print wrapping paper for the labels. I picked up some Pink and Zebra Print plates and napkins at Target along with a Pink Bin to put the water bottles in. 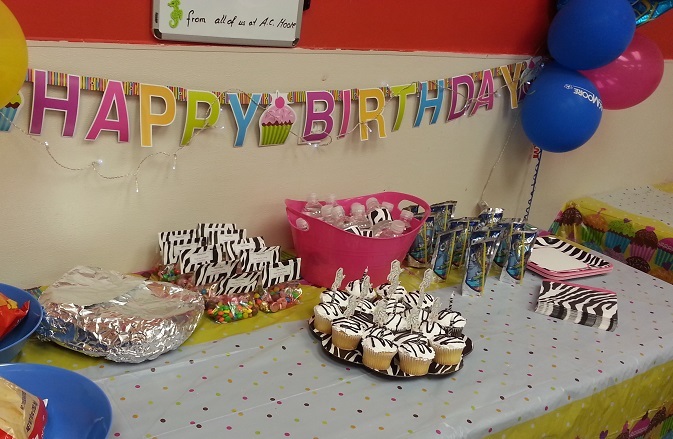 I would have grabbed a Zebra Print Table cloth but the store told me they had birthday party ones so we just used those. The party was a big hit and everything looked great!